I finck it is cool. 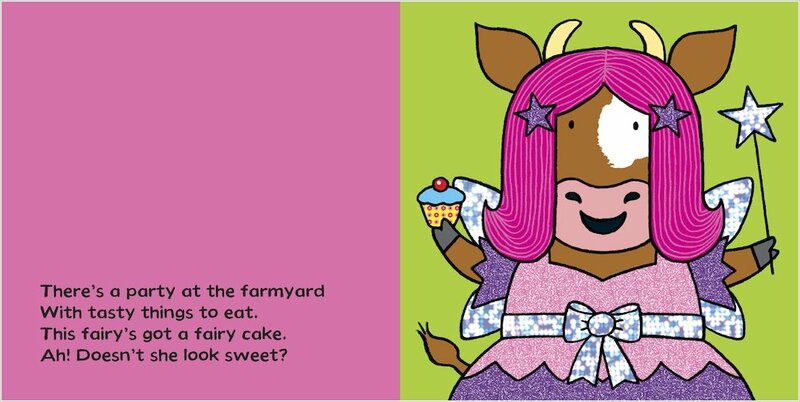 My little cousin loves this book! Even i thought it was great fun. 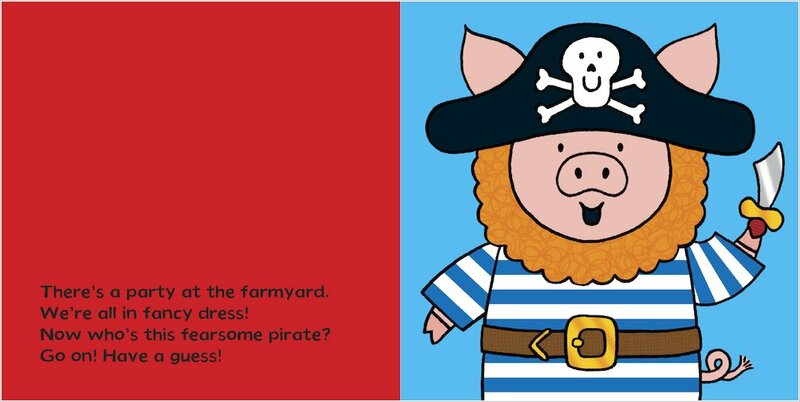 I like how the writer has made it funny, but understandable for young kids aswell. It’s the farmyard fancy dress party! Peekaboo! Who’ll be dressed as who? 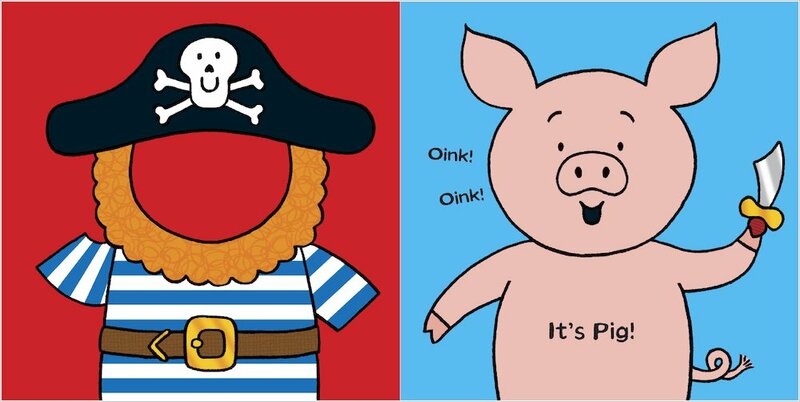 Well… there are I love this pigs playing at pirates, and Duck is a superhero. But who is that wizard? Could it be Sheep? Lift the flaps to see! 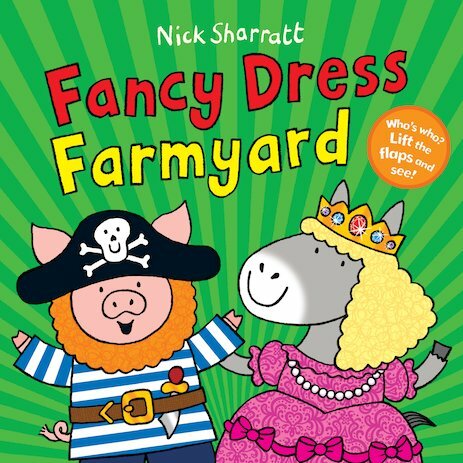 Nick Sharratt’s wonderful new book combines all the toddler favourites: peekaboo flaps to lift, bouncy rhyming text and lots of animal noises to join in with. 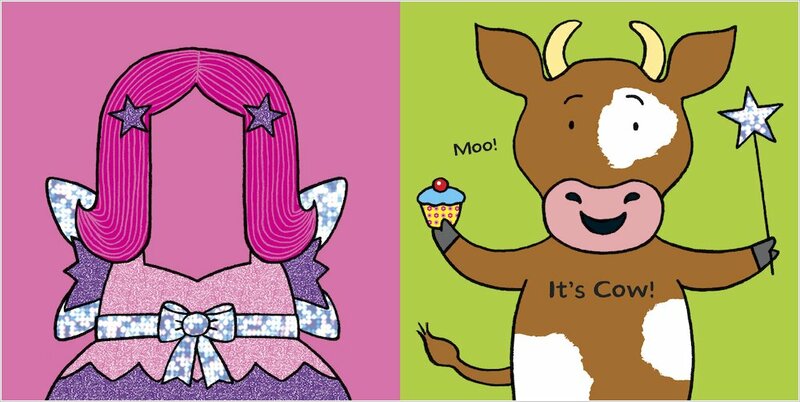 It’s a feast of farmyard fun, zany pictures and madcap mix-ups from a true picture book superstar.